Successful eLearning is all about accessibility and engagement. Everyone should have the opportunity to actively participate in order to expand their knowledge. While serious games meet the engagement requirement, they may come up short in regards to accessibility, especially for online learners who have cognitive or physical impairments. Here are 9 tips to develop serious games for online learners with special needs. Online learners with special needs need to know how to participate in the serious game and how it ties into the subject matter. In other words, the primary aim of the serious game and its real-world applications. Explain the basic navigation elements and highlight each of the steps involved. Online learners with cognitive disabilities may even benefit from a brief online training tutorial on how to use the in-game controls and achieve the desired outcome. Include a bullet list of the core ideas or steps featured in the serious game. This gives online learners with special needs the ability to absorb the information before they dive into the gaming experience. Thus, they are more likely to focus on the key takeaways while progressing through levels or defeating in-game adversaries. You should also recap the main points at the end of the serious game to reinforce their knowledge. Online learners who speak English as a second language or are hearing impaired may not be able to understand the audio elements. Likewise, those who are visually impaired cannot read the text. Thus, you should incorporate subtitles and audio narrations into your serious game to improve comprehension. This also applies to in-game character dialogue, online instructions, and visual aids. For example, include a brief audio explanation of the graph online learners must use to gather valuable problem-solving data. There are a number of reasons to include rewards in your serious game. First and foremost, it gives online learners with special needs a confidence boost. eLearning badges acknowledge their efforts and improve their motivation. They know that they have the skills and knowledge it takes to earn that prize. Thus, they are more likely to actively engage with the serious game and continually build their self-assurance. For best results, create eye-catching eLearning badges that focus on specific skills or abilities. As an example, online learners can earn a colorful eLearning badge for displaying their interpersonal skills or improving their task performance. Online learners with special needs may need some extra assistance along the way. Thus, you can incorporate in-game links to online resources, such as video demos, online training tutorials, or real-world activities to bridge the gaps. Online learners have the option to access the resource links without having to leave the gaming environment, which helps to enhance immersion and emotional connectivity. Another option is to direct online learners to a microlearning online training library that centers on a specific topic or task. For instance, a collection of 10 activities that tie into the skills or concepts online learners need to successfully complete the serious game. Serious game navigation controls should be simple and straightforward. Online learners with special needs must be able to progress through the serious game without having to worry about broken links or missing icons. In fact, you may want to include navigation reminders at specific intervals, such as after each level. This gives online learners the chance to concentrate on the actual gameplay, instead of worrying about how to use the interface. In addition, try to use familiar controls to lessen the learning curve. For instance, arrows that point online learners in the right direction or clearly marked buttons that guide them to the next level. Online learners must be able to apply what they've learned in real-world situations. Otherwise, the serious game is nothing more than an entertaining distraction, instead of a valuable learning experience that helps online learners achieve their goals. Ideally, each serious game should center on a practical skill or online training topic. Furthermore, it must give online learners with special needs the opportunity to apply the information in context and tie it to pre-existing knowledge. Thus, even the most fantastical serious games must be framed with pragmatism and realism. Frame real-world tasks or problems with an immersive storyline or invite online learners to explore a fictional environment that still encompasses real-world tasks. The key is to blend in elements of reality so that online learners can use their knowledge and skills where it truly matters. After online learners have completed the serious game, provide personalized eLearning feedback that's paired with online resource recommendations. For example, display a list of 5 areas for improvement that allows them to focus their efforts, as well as eLearning activities, modules, or courses that address these performance or skill gaps. It's also wise to highlight some of the online learner's core strengths in order to improve their morale. They're more likely to work on their weaknesses if they are confident in their strengths. Serious games are the ideal microlearning tool, particularly for online learners with special needs who may experience cognitive overload more quickly. Everyone is able to get the information they need in an easily digestible format. They can also access the serious game whenever it's most convenient. Concentrate on a single learning objective or desired outcome, then include only the essentials. For example, a serious game that centers on a specific task should only feature the key steps. You can always create another serious game to explore the related skills or sub-tasks. Serious games have the power to create an emotional connection and improve real-world application. As such, no one should be excluded from the gaming experience. Use these 9 tips to create all-inclusive serious games that engage, inspire and entertain online learners with special needs. Are serious games really the best approach for your eLearning strategy? 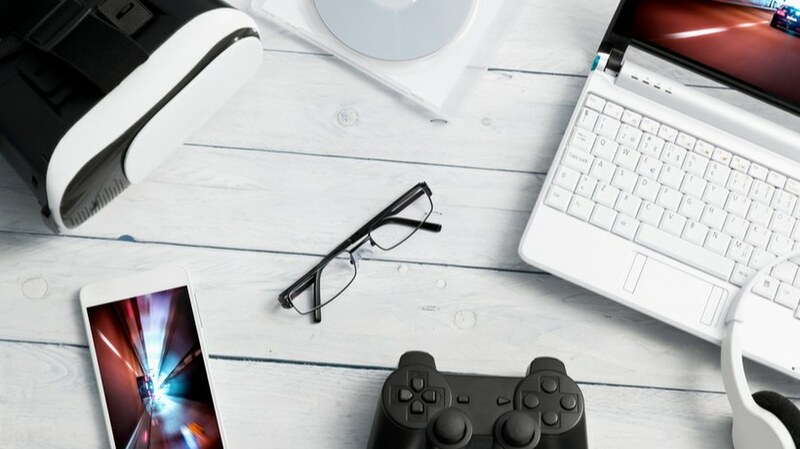 Read the article Gamification And Serious Games: Differences And Benefits eLearning Pros Need To Know to discover the differences and benefits of gamification versus serious gaming.